Property managers have a myriad of problems to worry about in the short term, from noise complaints to leaky faucets. This can sometimes make it difficult to split some of that focus on long-term maintenance issues. Below we will discuss why property managers should consider concrete repairs as a sound investment. The issues associated are essentially bills waiting to come due. It’s a good idea to take a step back, rank your “long-tail” repairs — the stuff you don’t need to get done today, or tomorrow, but soon — and figure out the order to address them. If you haven’t taken the time to do this recently, you’ll likely find concrete crack repair for your building’s foundation at or near the top of your list. For property managers, the driving purpose is twofold: making sure the space is currently safe for tenants, and addressing issues to prevent further damage or accidents from occurring. You fix a pipe today, so you avoid a flood next month. The same applies for the concrete walking surfaces on the properties you manage. Addressing minor structural issues, cracks, and chipped concrete slabs and walkways today, means avoiding the much larger unplanned bills of progressive damage later. Any property manager knows that there is an established web of legal liabilities, often stacked straight against the landlord and their employees. A cracked concrete foundation often means the first signs of a larger structural problem that needs to be addressed before the small collection of problems eventually combines to create a much larger and pressing event — even a disaster. By employing concrete foundation repair services, you’ll drastically limit the potential of an incident like this. While you can’t guarantee something like this would happen, when it does, the cost of having maintained your concrete walkways suddenly seems minor in comparison. As a property manager, your goal is inevitably to limit your upfront costs so your properties remain profitable for you and the landlord. 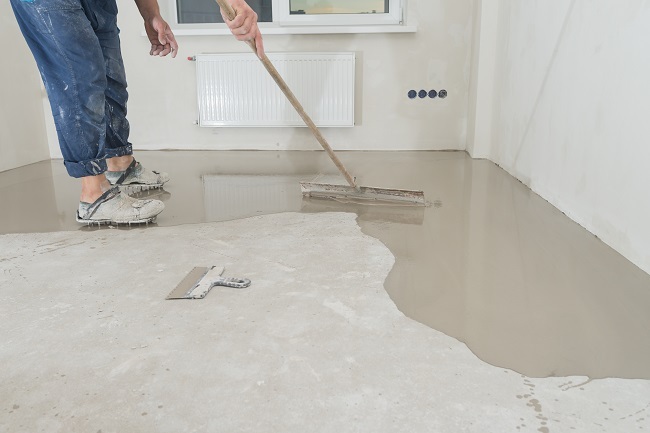 So choosing the right contractor for your concrete repair needs is incredibly important. Dodson Foundation Repair are the team you’re looking for. With deep experience in setting original foundations, as well as providing cost-effective repairs for older work, our repair expertise results in fast and efficient work. We summarize the exact level of repair required for each job, and address those issues with the most efficient techniques possible. That means no oversells, no complete structural replacements pushed when a simple crack repair will do. Make a sound investment by keeping your properties cost-efficient and liability free. Contact us at Dodson Foundation Repair today.